Michigan is known as the center of the American auto industry, which is primarily based in its largest city of Detroit. It’s nicknamed the “Great Lake State” due to its being bounded by four of the five Great Lakes, and the region is also a popular destination for immigrants. While there’s a lot to recommend about the state, a vibrant sports betting scene isn’t one of them. Federal law prohibits land-based sports gambling in all but four states, although residents continually defy these restrictions by placing millions of dollars in illegal wagers each year. 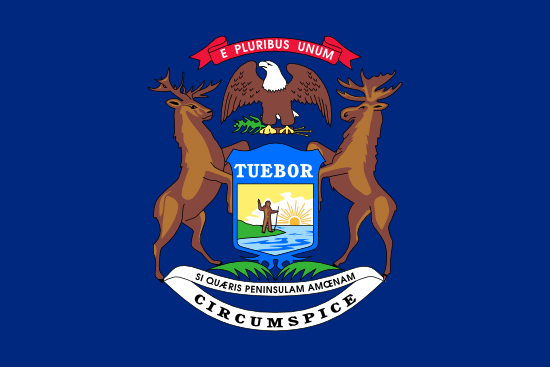 Whether you’re looking to circumvent the law or engage in legal online betting, this article is meant to provide an overview of the current state of sports gambling in Michigan. For those who choose the former option, I strongly suggest sitting down with a lawyer and examining the pros and cons before starting your illegal hobby. Since Michigan is one of the 10 most populated states in America, it should come as little surprise that they have a wide array of sports teams to choose from. In fact, they have franchises for all four major U.S. sports, all located within the Detroit metropolitan area. Michigan is home to a team from the NBA, NFL, NHL, and MLB. In addition to these major-league professional teams, Michigan also has a number of pro and semi-pro organizations scattered throughout the state. While you might be able to scare up some betting action with friends and co-workers, just keep in mind that bookies are unlikely to offer odds on these games. NCAA Division I athletic programs routinely have betting lines offered by bookies, although more obscure sports may get left out in the cold. Football and basketball are consistently the most popular, but local bookies might also provide action on athletic competitions that draw unusual interest within a specific region. Michiganders are huge fans of NCAA basketball and NCAA football, as well as college hockey. Each year in March, the NCAA holds its Division I basketball tournament to determine the best team in the nation. This event is commonly known as “The Big Dance” or “March Madness,” and a terrific sum of money is wagered on the outcomes of the games (most of it illegally). While some of these wagers involve bookmakers, an even larger amount takes the form of bracket pools. Filling out a bracket is even more difficult than placing a few bets. If any of your winners fail to secure a victory, it causes a ripple effect throughout the rest of your predictions. That’s why these contests are considered both entertaining and maddening at the same time. Michigan is no stranger to success in the NCAA tourney. The Michigan Wolverines came out on top in 1989, and the Michigan State Spartans emerged with national titles in 1979 and 2000. If you’re planning to wager on the competition, either one of these universities would make fine candidates. There are no laws on the books that prohibit Internet sports gambling in Michigan. The biggest problem is finding a virtual bookie to take your wagers, as many have been scared off by the passage of the Unlawful Internet Gambling Enforcement Act and subsequent raids by the U.S. Justice Department. You should still be able to locate what you’re looking for, but it might take a little more time. Before you open an account, it’s a good idea to read reviews of the bookmaker to ensure that they have a solid reputation. If there are numerous complaints of a site failing to pay winners, then it’s best to scratch it from the list and keep looking. In addition to online bookmakers and March Madness bracket pools, the items on this list are some of the other choices available to bettors. While they may not seem especially exciting, keep in mind that federal laws have effectively squashed all the more appealing options for the time being. If you want that to change, call or write your local politicians. • Wager with a Friend – This is a safe way to make wagers, and people have been doing it for centuries. All you need is a friend or co-worker and a sporting event to bet on. • Find a Local Bookie – You can sometimes find illegal bookies hanging out at bars or country clubs, although others prefer to work over the phone. These individuals often use the Vegas bookmakers to set their odds, but make sure that they can be trusted before beginning a relationship with one. • Drive to Vegas – If you want to enjoy legal sports betting, there’s always the option of getting in your vehicle and heading to Las Vegas. Expect a long trip, though, as it’s a total of 2,013 miles from Detroit. The expected travel time is 29 hours, although a nonstop flight can get there in just over four hours. While Michigan has an impressive number of sports teams, betting on them is still prohibited by federal law. Some residents are happy to ignore these rules if they can find an underground bookie, although getting caught can result in a fine and an embarrassing court appearance. If you want to wager on sports and stay in the good graces of law enforcement, your best bet is to find a dependable online bookmaker and build a relationship.